Uptown Modern in Austin has a set of Broyhill desks in their store right now. 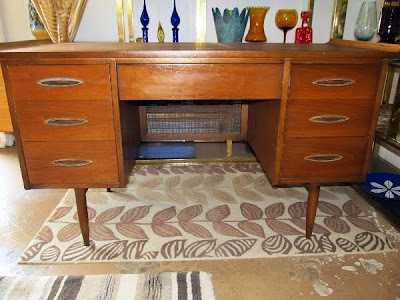 This is only the second Broyhill Premier Collection Sculptra desk I've seen for sale in Austin, the first one (which was also found at Uptown Modern) is sitting in my study. Uptown Modern has some other Brasilia items for sale currently, and they've promised even more in the upcoming weeks. 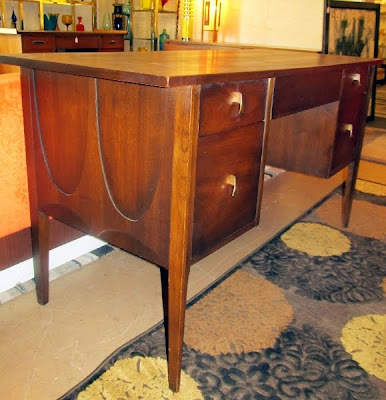 Thanks for the Broyhill Sculptra desk update. I'd love to add that to our collection, saving for one now. It is worth saving up for; it's a great piece for any study (or any other room). It's really hard to give an accurate price over the internet for a variety of reasons, but this post on pricing mid-century furniture might help.